European Development Days is the biggest meeting in Europe of the development community. 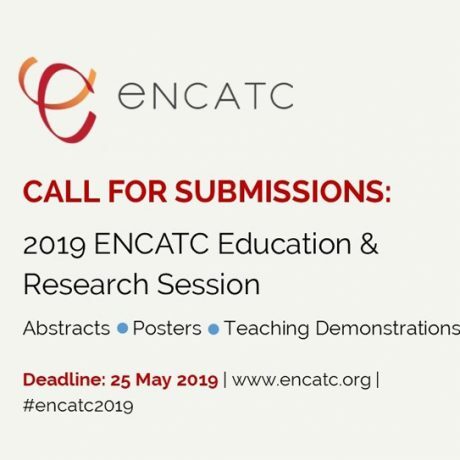 The overarching theme of this year’s meeting, in Brussels on 18-19 June, is “Addressing inequalities: building a world which leaves no one behind”. The European Commission is inviting young people from around the world to play an active role in this year’s EDD. 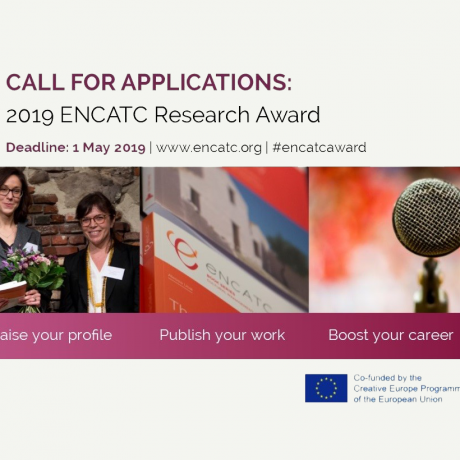 EC is looking for 15 extraordinary young people aged 21-26 who can represent the powerful impact that youth are having in the development field. The Young Leaders Programme will consist of a 10-day visit to Brussels, where Young Leaders will meet EU experts and stakeholders and play a leading role in the EDD Programme, which will include speaking in various session alongside global leaders. This matches your interests and profile? Apply now! 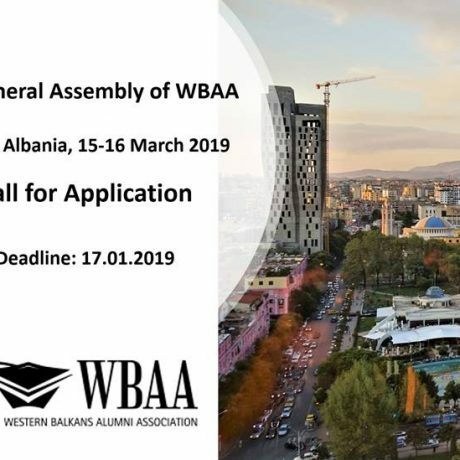 With the support of the European Commission, the Western Balkans Alumni Association (WBAA) will be organising its 1st General Assembly in Tirana, Albania, on 15-16 March 2019. The event will gather over 130 students and alumni from WBAA. Moreover, higher education stakeholders, ministry representatives, EU officials and business representatives will be present. Western Balkans Alumni Association is a non-profit and non-governmental organisation targeting students and alumni of the Western Balkans, namely Albania, Bosnia and Herzegovina, Kosovo, the former Yugoslav Republic of Macedonia, Montenegro and Serbia. The aim of WBAA is to establish a strong union of alumni coming from the Western Balkans in order to provide a forum which enables the exchange experiences and best practices as well as empowers young people. The WBAA General Assembly will be the yearly gathering of its members, from across the region. Over the span of two days, you will receive an update about the current state and progress of the Association, as well as engaging in various sessions and cultural activities which should help you make new connections and support WBAA in shaping its future development and related activities. We also want to involve and empower our volunteering members to be, also after the General Assembly, an active part of the Association. One of the ways to get involved are our new WBAA teams, that will focus on different topics: Communication & IT, Projects, Research, Academic and Career Development or Internal Affairs. These teams will work virtually on concrete topics and projects and in addition, there will be opportunities for meetings with external partners and the own team. Therefore, when filling out the application form, we kindly ask you to select also a team that fits to your interests and qualifications and to which you would like to contribute. Organized transport, accommodation and food as well as participation in cultural activities will be fully covered by the European Commission. 2019 is coming fast! 2018 was a year of many new developments and we are looking forward into the new year! We want to encourage you in becoming a WBAA member! WBAA gives you the opportunity to become part of strong alumni union in order to advocate for modernization and improvement of the higher education’s quality in the Western Balkans Region. As a member you can take part in the numerous programmes/projects, workshops, panel discussions and other activities focused on raising awareness of the Western Balkans students’ needs. Are you from the Western Balkans and have you spent part of your university studies abroad? Are you thinking of taking the leap and studying in another country? Are you ready to make your international experience count back home? If you are interested in becoming an active volunteer in WBAA, you can take part in one of our Regional WBAA-teams and/or National Chapters by filling in the membership application available at the following link. Western Balkans Alumni Association held a regional board meeting on 26-28.10.2018 in Podgorica, Montenegro. Together with the European Commission and our new Service Provider many new projects were discussed, amongst those the very first General Assembly, many workshops and skill training as well as future regional projects that will be realized during 2019. Our Community Manager, Michael Goulao, from the Service Provider presented the services that will boost the development of our organization in the next year. Among all the hard work, WBAA Regional Board fitted in some more team building and we also went out together, which significantly strengthened our positive mindset. Overall, we had a constructive meeting, and we eagerly look forward to the next one. WBAA members: Stay tuned for the upcoming news! Thank you to all the members for their presence and their work! 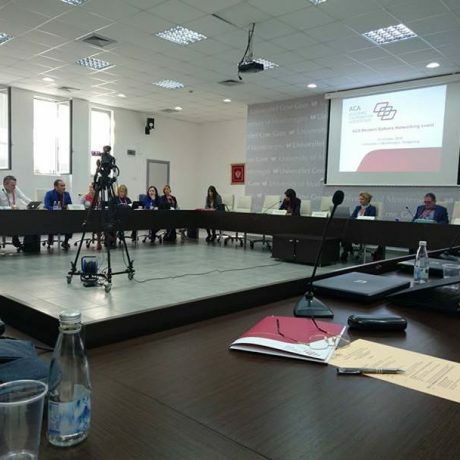 On 24-25 October ACA (Academic Cooperation Association) hosted a networking seminar in Podgorica, Montenegro together with the National Erasmus+ Office in the country and with kind support of the University of Montenegro. This ACA Networking event in the Western Balkans, which was hosted at the University’s Rectorate and gathered around 50 participants – representatives of all six Western Balkan national offices and agencies for Erasmus+, university representatives and a number of ACA members and partners, as well as the representatives of WBAA – the Western Balkans Alumni Association. The programme started with a panel focusing on the developments and aspirations in the region, followed by a number of sessions where ACA members presented their work in the region and lessons learned. The programme ended by a round of discussions and exchange of ideas for further cooperation. We thank the ACA Secretariat for inviting us and recognizing us as one of the key stakeholders in the region. We participated in several fruitful discussions and we are happy to be part of this strong regional network! 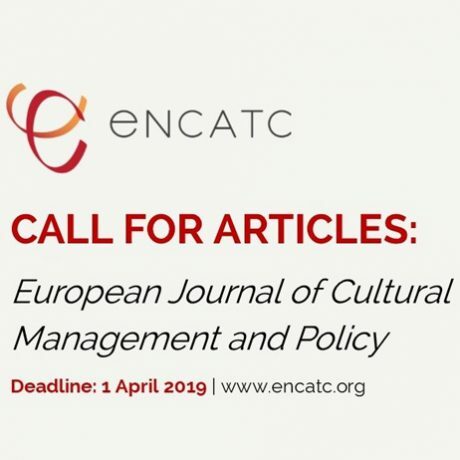 Deadline for Applications: April 29th, 2018. The Western Balkans Alumni Association (WBAA) is a regional association of alumni who have spent part of their studies abroad, funded by EU education and training programmes such as Erasmus+ and the Marie Skłodowska-Curie actions. Officially launched in March 2018, WBAA was born from the EU’s Western Balkans Platform on Education and Training in 2014, where the Ministers of Education of the Western Balkan countries agreed on the need to establish a regional network of alumni. Volunteering at the Communication Department will provide an opportunity to improve the quality of WBAA activities, develop communication skills, and enlarge your professional and personal network. The mandate will include a period of six months (from May 2018 to October 2018). Motivation to further develop the WBAA. Promotion of the WBAA and higher education developments in the Western Balkans and Europe via monthly newsletter. Motivated individuals are invited to submit their applications for the above mentioned positions by sending their CV and statement of interest at info@western-balkans-alumni.eu by April 29th, 2018. Please specify in the subject of your email the name of the position for which you are applying for. The Western Balkans Alumni Association goes live! 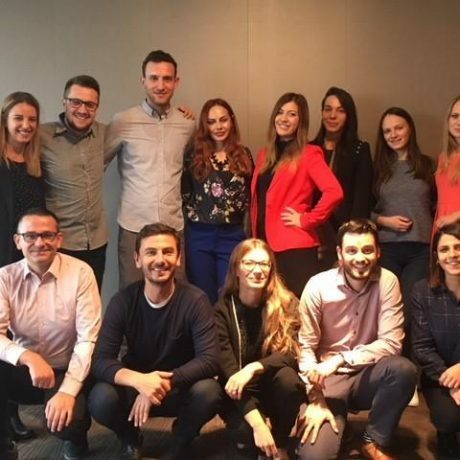 Last week, Ohrid hosted the official kick-off meeting of the Western Balkans Alumni Association to make sure that the young people’s voices in the region are heard loud and clear. The Western Balkans Alumni Association (WBAA for short) is a regional association of alumni who have spent part of their studies and training abroad, funded by EU programmes such as Erasmus+, the Marie Skłodowska-Curie actions or the EU Young Civil Servant Scheme. Officially launched in March 2018, WBAA was born from DG EAC’s Western Balkans Platform on Education and Training in 2015, where the Ministers of Education of the 6 Western Balkan countries agreed on the need to establish a regional network of alumni. The official kick-off event was opened by Ms Renata Deskoska, Minister of Education and Science of the former Yugoslav Republic of Macedonia, together with Ms Antoaneta Angelova-Krasteva, Director for Innovation, International Cooperation and Sport at the European Commission’s Directorate-General for Education, Culture, Youth and Sport. 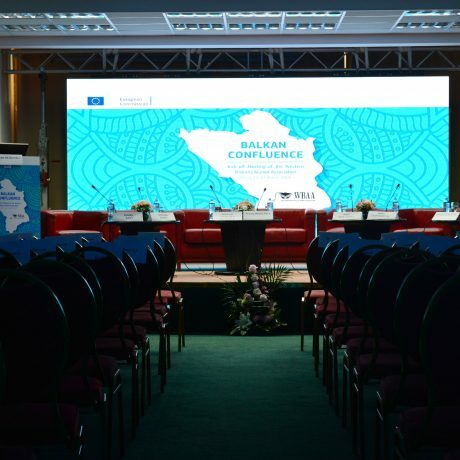 The event brought together around 300 higher education stakeholders, including students and alumni, representatives from Ministries, university rectors and student unions, as well as EU officials and business representatives. It included inspirational testimonies, lively panel discussions, various workshops and cultural activities, helping WBAA recruit new members and shape its future work programme and activities. Follow WBAA on Facebook and Twitter.